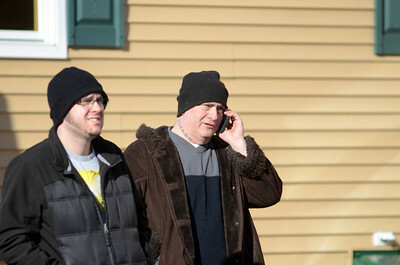 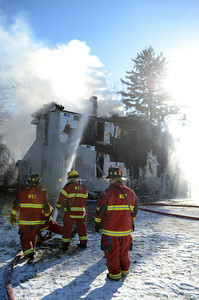 Fred Weaver talks on his phone while watching on as fire fighters spray water onto his home on White Deer Pike Thursday morning after it caught fire. 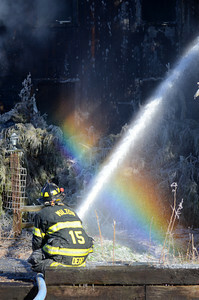 A fire fighter sprays water onto a home on White Deer Pike creating a rainbow in the process during a house fire on Thursday morning. 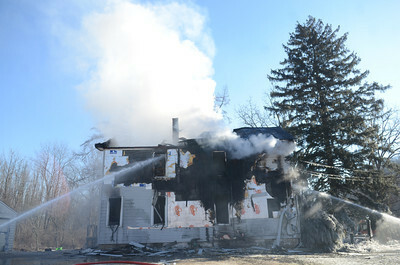 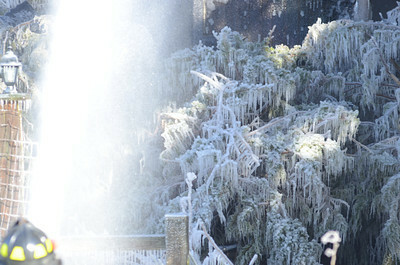 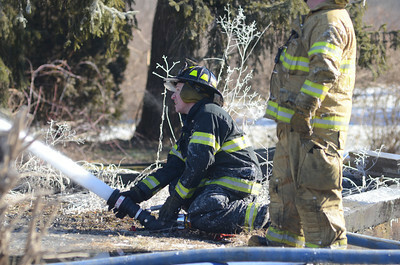 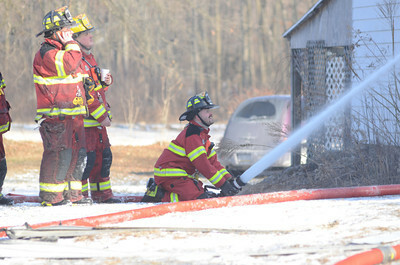 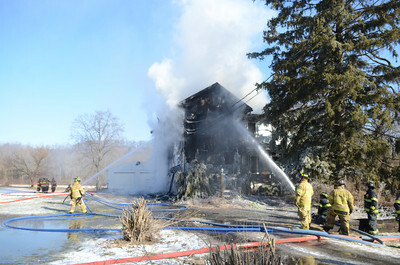 Fire fighters pour water onto a home on White Deer Pike Thursday morning while trying to extinguish the fire.